Start your Reppy like a real racing car and tear down the road with the sound of a V8 engine. 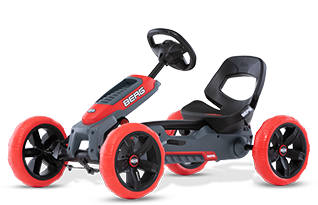 The BERG Soundbox has 4 different tones: braking, honking, starting the engine and accelerating. The Reppy Rebel and Reppy Racer sports steering wheel are standard equipped with the awesome sound box. 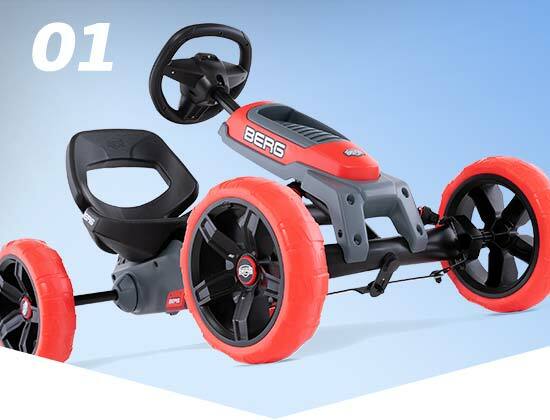 With the design, low bucket seat and the striking sports steering wheel, children stand out in the neighborhood.The Reppy is light and compact, and easy to store after playing. 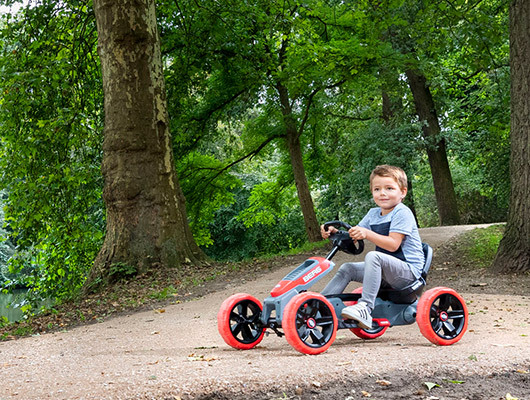 The Reppy’s design will make your child stand out in the neighbourhood. Take a look at that low bucket seat and striking sports steering wheel! 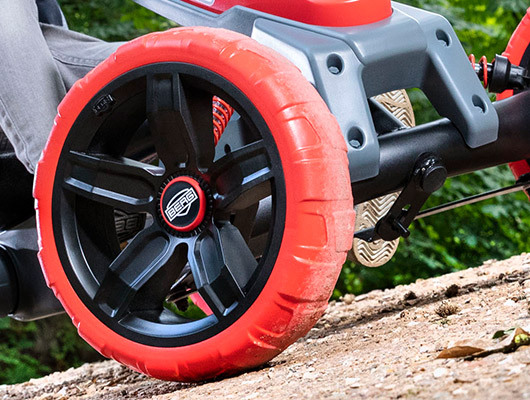 Adults can carry the Reppy super easily by its frame handle. The Reppy is light and compact, making it easy to store after use. The bucket seat of the Reppy is easy to adjust by turning a knob. No tools are needed. 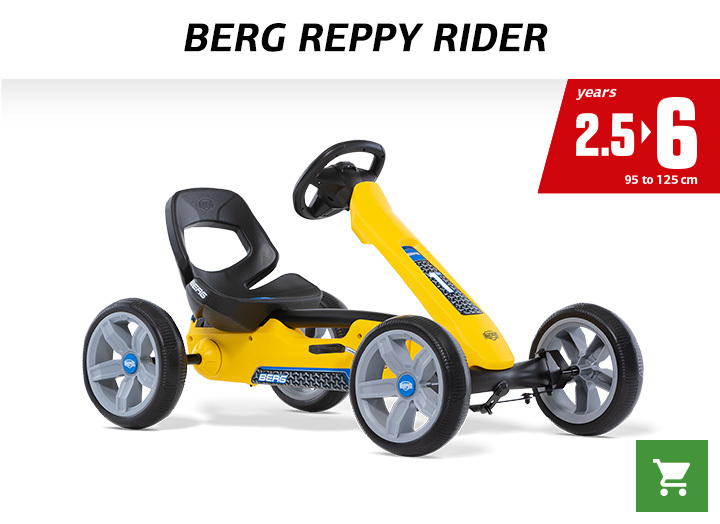 The Reppy is made for children from 2.5 to 6 years. 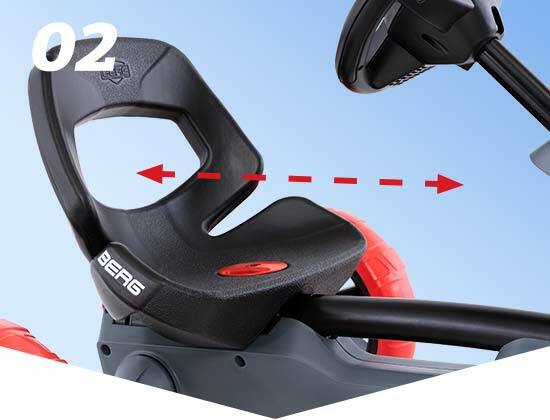 The Reppy’s bucket seat is easy to adjust using the knob on the seat. No tools needed for that! Due to the low seat, it is not necessary to adjust the steering wheel. In whichever seat position your child sits, the steering wheel is always easy to reach. 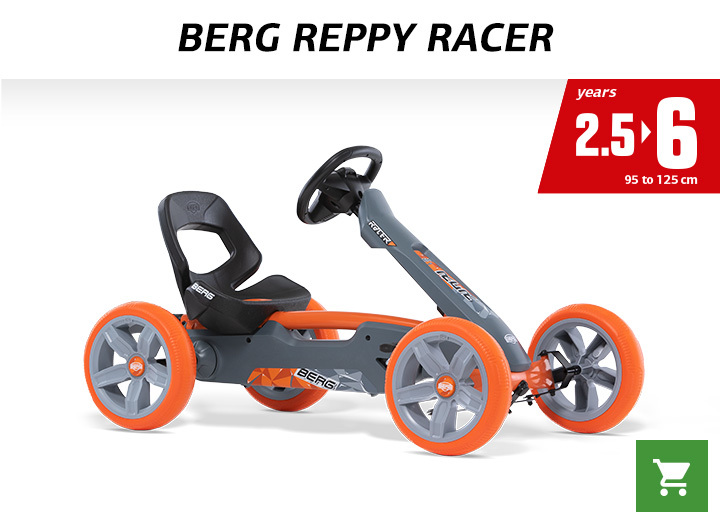 The Reppy is suitable for children from ages 2.5 to 6. The Reppy has four EVA whisper tyres. These tyres are made of high-tech foam. 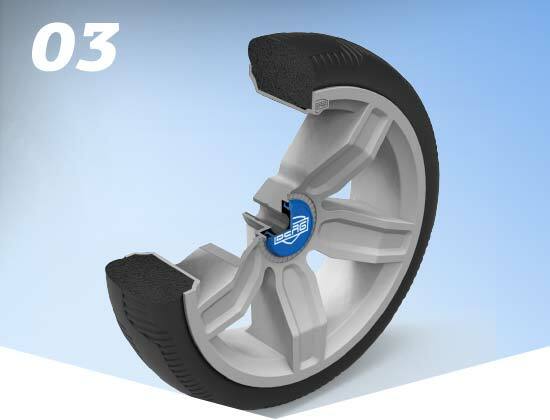 For the Reppy, this is the ideal replacement for the traditional rubber inner and outer tyres. Thanks to the right composition, the tyres are just as durable as traditional rubber tyres, but without the risk of a flat tyre. 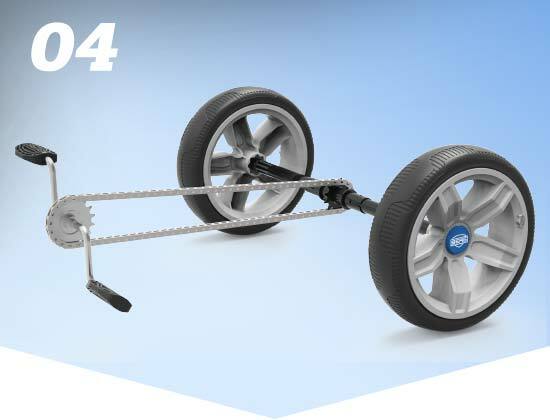 By a fixed connection between the front crankshaft and the rear axle, the movement of the legs is directly converted into action. Both forward and backward. 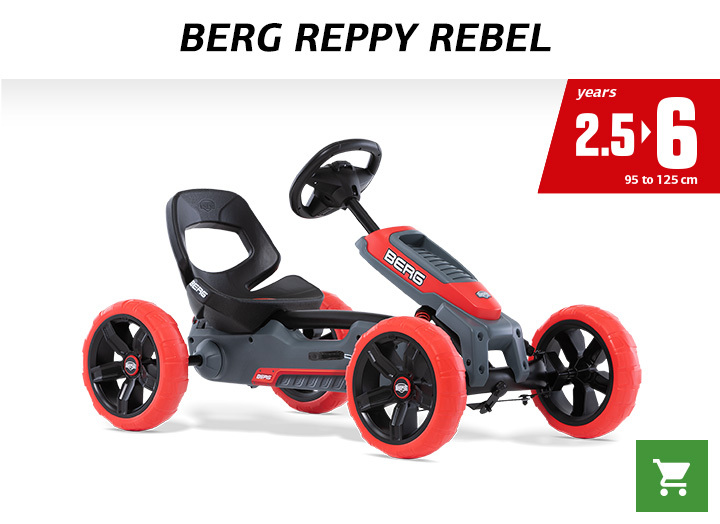 The BERG Reppy is equipped with a fixed connection between the front crank axle and the rear axle. 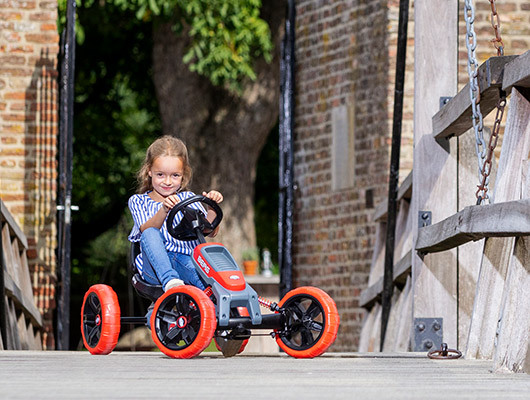 This means that every movement of the legs is immediately converted to the movement of the rear wheels. 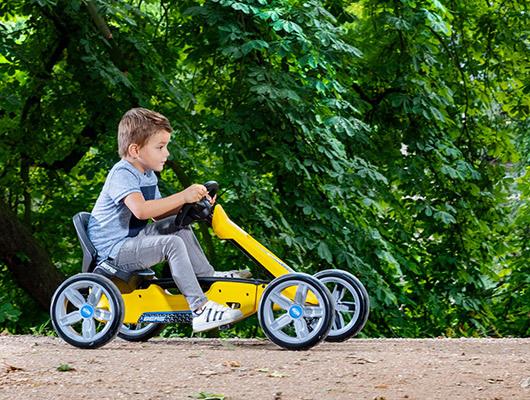 This makes it easy for children to pedal forwards and backwards.